February 14 is Valentine's Day - a feast of love and world-famous. Couples give each other flowers, chocolates and jewellery. But also friends and relatives think of each other and send self-designed postcards with love. How do you celebrate Valentine’s Day? Is there perhaps a person in your life who has become particularly important to you in the last year? No matter what connection you have with each other, it is a matter of communicating this to the people who are close to your heart with a heartfelt gesture. Whether freshly in love or closely connected. Whether best friend or big brother, beloved mum or grandma. 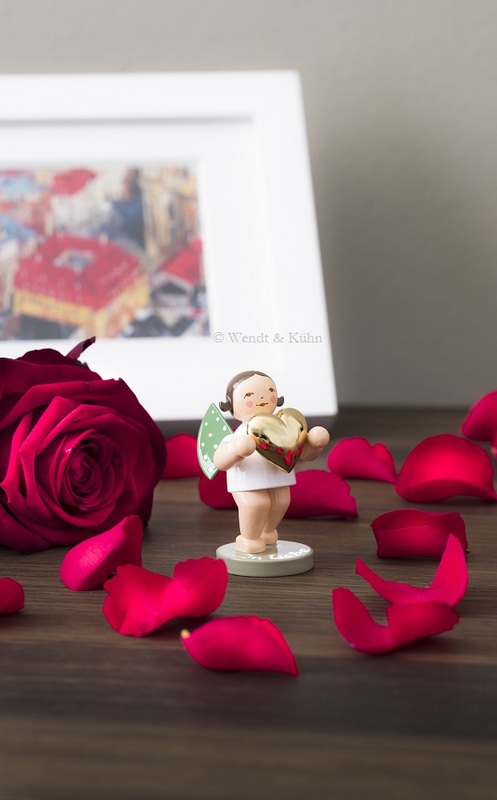 The Angel of love from Wendt & Kühn conquers the hearts of the recipient by storm. No wonder, because he looks full of kindness and warmth.